At the Faculty of Agriculture and Life Science at Hirosaki University, you are endowed with opportunities to study environment-conscious agriculture and biotechnologies that can facilitate the development and use of biological resources. Our objective is to prepare students with fundamental and specialized life sciences academic skills and help students acquire the interdisciplinary and comprehensive abilities needed to understand life systems and create next-generation biology-related industries. We also aim to develop global-minded individuals who are able to play a role in the development of a rich local environment, and nurture qualities and competence to set and solve problems individually. 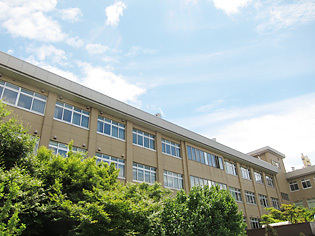 The Faculty of Agriculture and Life Science of Hirosaki University is located in the City of Hirosaki, the most famous place in Japan for apple production. It has Hirosaki Park, also the most famous place in Japan for sightseeing of beautiful cherry blossoms, and nearby there are Shirakami-Sanchi, a UNESCO World Natural Heritage site, and Towada-Hachimantai National Park. You can enjoy eating various fish caught in both the Sea of Japan and the Pacific Ocean. Hirosaki used to be the centre of Tsugaru domain with a Hirosaki Castle and prosperous in the Edo era. Having this background, the city is now the centre of unique Tsugaru traditions and culture. In such a historical and cultural place you can spend four years (or six years, if you go on to a postgraduate school) fruitfully as a student. A population explosion and food shortage are likely to happen in the 21st century, and they together will have a devastating effect on the world environment. Global warming particularly will cause extensive and incalculable damage to our health, living conditions and food supplies. To find solutions to these problems, scientists and researchers in various fields work hard day in and day out. Agriculture and life science contribute to finding solutions to a wide range of problems and they are attracting people’s attention as means of encouraging various innovations in this century. In this faculty we try to combine these two branches of disciplines to establish new academic areas which will be useful for solving various problems. 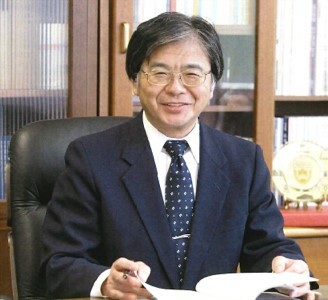 With these in the background, the members of this faculty are dedicated to the Mission of the University as the main university in Aomori area, that is, to contribute to improving the local environment and lives of local people by paying close attention to local demands and issues. In order to achieve this aim more effectively, we reorganized the faculty in 2016 based on two key words, ‘food’ and ‘globalization’. Until 2016 the faculty had the following five departments: Biology, Biochemistry and Molecular Biology, Applied Biociences, Agriculture and Horticulture, Agricultural and Environmental Engineering. A new food science course was introduced in the Department of Applied Biociences and it is now called the Department of Applied Biology and Food Sciences. The Department of Agriculture and Horticulture was restructured as the Department of International Agriculture and Horticulture in the light of current globalization and developing world trade. The other three departments were also reorganized by considerably increasing the number of courses relating to ‘food’ and ‘globalization’. By so doing, we made sure to educate and train students to be more aware of the increasingly globalized world. The 21st century is said to be the time of the environment. Now the environment and people’s health are more often talked about from an agricultural point of view, and people agree that the discipline of agriculture can cover a wide area of issues. A further development of the discipline of life science is also expected to bring about various important innovations in agriculture. This faculty is seeking students who are enthusiastic about acquiring a wide knowledge of agriculture and life science, from basic to more advanced, and willing to face new and serious challenges and play an active role in society in the future.